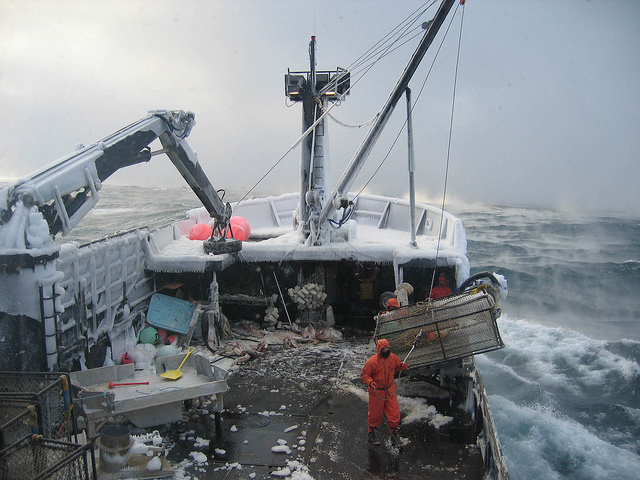 The overall safety of the commercial fishing industry is becoming safer every year. Those are the findings in a report issued by NIOSH in July of 2017. However, experts agree that an area that needs improvement concerns outdated stability reports. The US Coast Guard requires all fishing and crabbing vessels to carry a stability report which has been prepared by a Naval Architect. Problems arise when these reports are out of date. According to A Best Practices Guide to Vessel Stability published by the US Coast Guard, vessel stability is defined as “the ability of a fishing vessel to return to its upright position after being heeled over by any combination of wind, waves, or forces from fishing operations.” If a vessel is “unstable”, it does not have sufficient ability to counter these external forces, therefore it is susceptible to capsizing. The two variables in the stability equation are buoyancy and gravity. Buoyancy is the force acting to push the vessel up in the water, making the vessel float. In stability analysis, the total buoyancy forces are distributed over the part of the hull below the water, and the buoyancy of a vessel is a fixed variable as it is based on the architecture of the vessel. Gravity is the force acting to pull the vessel down in the water. The total weight of the vessel includes all gear, fuel, catch, ice, bait, etc. These weights are distributed throughout the hull, and mathematically combined into a single point called the center of gravity. Because weight is constantly being added and subtracted from a vessel, gravity is not a fixed variable; it is constantly in flux.